Material: TPE, PP handle and Stainless steel needle.Suitable for all Breed Dogs. 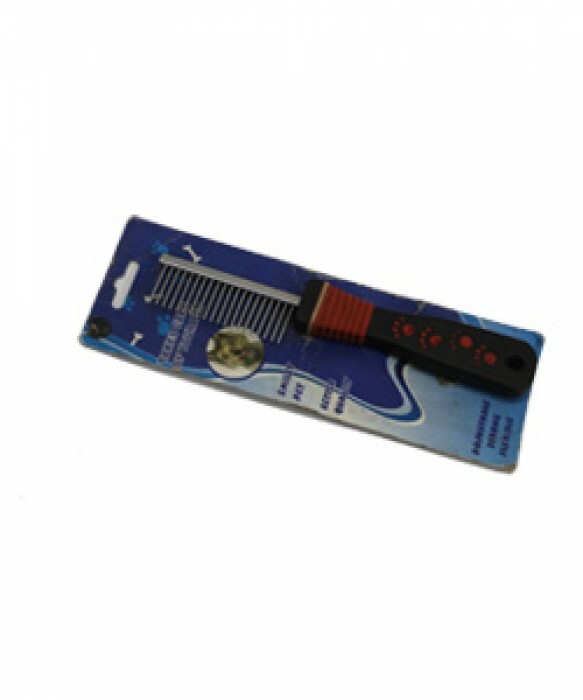 Product Information - Woofi Pet Comb Single Sided - Comb Single Quickly and easily removes undercoat and loose hair. Suitable for Long and short-haired dogs, cats, monkeys and any other pets with fur shedding problems. Smooth rounded teeth combs for complete grooming.